Remove stone—washing-- steam peeling-- dry brush peeling-- sorting and pruning--slicing--blanching and cooling-- cooking and mashing—transport—unifying materials—making flakes—scraping--packing. 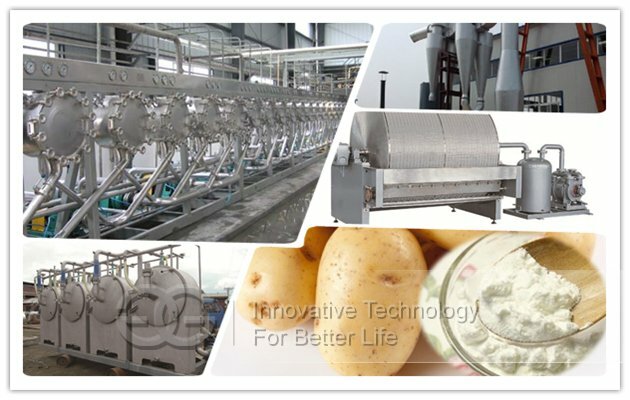 potato, the material is sent to cage washer through scrape board to get the result of decontamination, cleaning and peeling . Then through a paddle-washing slot, material is sent to crash section. dissociation degree features, which are essential to get high starch recovery. 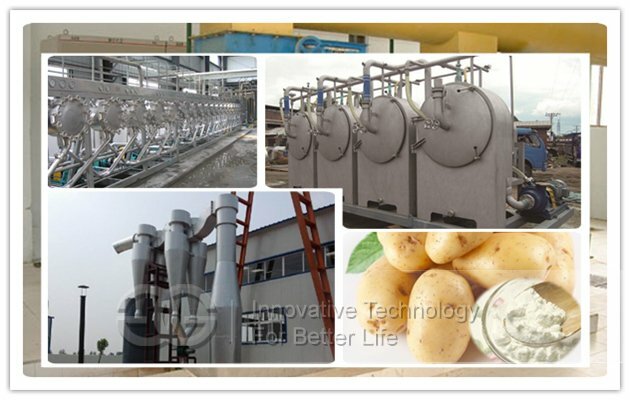 dewatered starch is 38~40%. 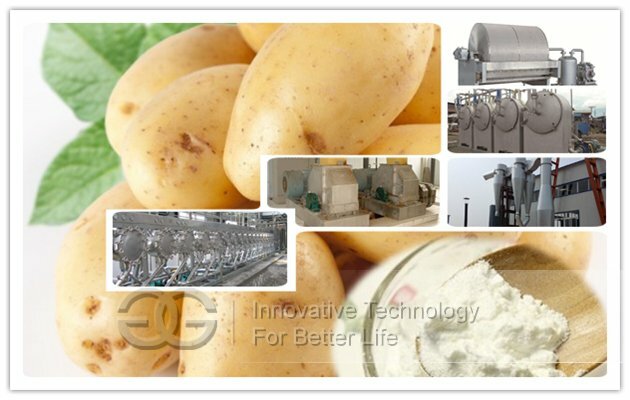 Wet starch is sent to drying system through belt conveyer. Drying the dewatered cassava flour in the air dryer to get dry product. 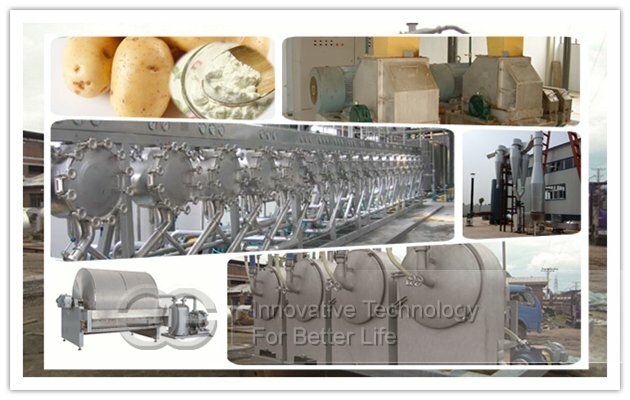 Dried starch reaches sieving system. 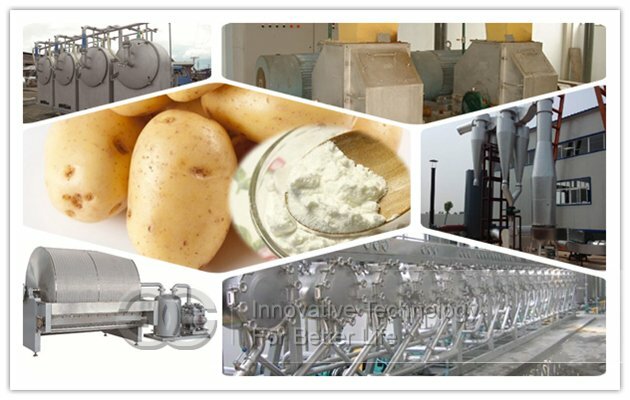 High efficiency cooling starch sifter is used to cool starch and get the best starch .